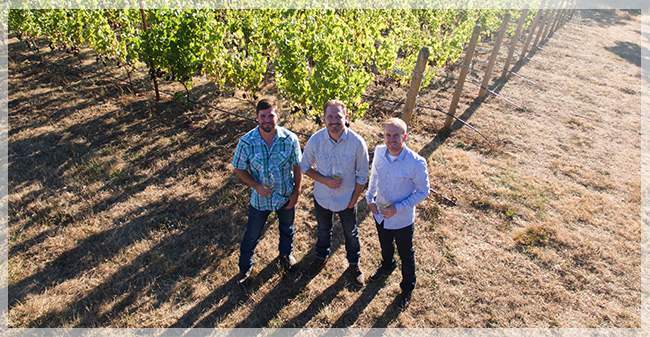 Founded in 2011, Marshall Davis Wines are the achievement of three brothers: Sean Davis (married to THR's Julie Davis), Ryan Marshall, and Matt Marshall. The Vineyard is located on 15 fertile acres in the Yamhill-Carlton AVA of the Willamette Valley. Winemaker Sean Davis specializes in crafting small batch vineyard designate wines. Our family believes the vineyard, the soil, the vintage, the fruit and of course the hard work are what really create an exceptional product. Visit the Marshall Davis Tasting room just 5 doors down from The Horse Radish in Carlton.